The Redcliffe hospital has approximately 270 beds and is 30-35 minutes north of Brisbane. The hospital services the population of Redcliffe which is around 50,000. The pathology laboratory at Redcliffe is one of several satellites to the Prince Charles Hospital (TPCH) located around 30 minutes away. The staff at Redcliffe pathology laboratory are a small team of multi-disciplinary scientists. Staff have an assigned area of responsibility (e.g. transfusion, chemistry etc) where they spend an estimated 80% of their time, however, if required, staff can move to other departments and work on other areas. Redcliffe has a very close working relationship with TPCH and has a clear and defined process for transferring blood to that hospital. The processes and procedures at the Redcliffe pathology laboratory have allowed this facility to achieve wastage rates of less than 1% (as at year to date, April 2013). The laboratory has a service agreement in place with a courier for transfers of blood and blood products. In circumstances where the courier is unable to transfer product on time the contingency is for the courier to arrange for a taxi to transfer the blood. This service agreement has proven to be a cost saving and a more secure measure for blood transfers. The facility conducts stock inventory control checks electronically on a daily basis and checks for expired cross-matched stock before placing any orders for blood through the Blood Service. This helps to avoid any over-ordering, which in turn, means less wastage. When transferring blood to their hub (the Price Charles Hospital), Redcliffe send stock with expiry of at least 10 days. Even if there’s only a small number units of blood, they are forwarded to the Prince Charles hospital, as that hospital is bigger and is therefore more likely to use that blood. Redcliffe participates in monthly meetings with the Transfusion Discipline Working Party, where one of the standing items on the agenda is discussion on wastage data. The Working Party comprises transfusion heads (i.e. scientists) across Queensland. The leading haematologist for Queensland chairs these meetings. For particular blood products (e.g. platelets) Redcliffe does monthly audits, including how many come to the facility, how many are transferred to the Prince Charles Hospital, how many are used and how many are discarded. Theatre is in close proximity to the pathology laboratory. All stock is therefore kept centrally in the laboratory blood fridge where theatre staff may collect one unit at a time. There is no need to take many units and store them separately, thus minimizing the risk of any contamination due to transport and storage arrangements. Redcliffe enforces the ‘single unit’ policy and only once the decision has been made to transfuse. Blood is transferred to the Prince Charles Hospital on a weekly basis, although this depends on the level of workload at Redcliffe – a decreased workload means less blood orders and therefore less blood to transfer. Redcliffe evaluates its stockholding levels and processes based on its workload so as to minimise transfers to the Prince Charles Hospital. Any short expiry blood sent to TPCH is packed in Blood Service shippers with signage recording the date and time of packing and packing configuration used. 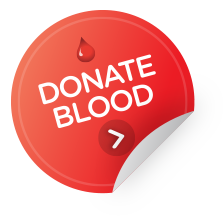 Any requests for blood for patients who are transferring to RBWH or TPCH are provided in a Blood Service shipper with signage ‘do not open unless decision to transfuse has been made’.